Today you will discover How to Relieve Back Pain With Acupuncture. Back pain is one of the most common conditions that affect the people of all ages without any discrimination. It restricts your mobility and makes it really tough for you to perform your routine activities. Whether you talk about playing outdoor games with your friends or lifting a bucket of water, you can’t do anything properly when you suffer from back pain. Since it can easily derail your life, you must find a perfect solution to get relief from it. However, in order to seek a perfect treatment for your back pain, it is crucial that you know what is causing it. Yes, pinpointing the root cause of your condition is really important for addressing it properly. It can be caused by several reasons like injuries, muscle or ligament strains, ruptured disks, osteoporosis, and skeletal irregularities. Other important causes of back pain include illnesses like arthritis and spinal tumour. So, identifying the primary cause of your pain can bring a world of difference in seeking a right treatment for it. There are several factors that can increase the risk of back pain such as diseases like cancer and arthritis, lack of physical activities or exercise, weight gain, smoking, and improper lifting. In addition to that, as you start ageing you start experiencing frequent episodes of back pain because of weakness. There are several ways of treating your pain such as surgery and medications. In addition to that, a technique called acupuncture is also very helpful in reducing back pain and improving the healing process. Yes, sometimes when you visit your doctor for healing your back pain they ask you to combine medications with techniques like acupuncture for seeking quick recovery. There are two types of back pain – acute and chronic. And over the years acupuncture has shown good results for both of them. Acupuncture is actually an important part of Traditional Chinese Medicine with a rich history of over 3000-years. It is a highly safe and efficient technique that has been used by Chines people for ages to heal body pain including back pain. It a technique that enhances your mobility and promotes the natural self-healing process of your body by stimulating acupoints. It is performed only by certified acupuncturists, who are well-aware of its technicalities. So, whenever you feel like taking advantage of this technique to alleviate your pain make sure you consult only a licensed acupuncturist. Fine sterile needles are inserted by your acupuncturist into your skin to stimulate anatomic sites to acupoints. Traditional Chinese Medicine revolves around an ancient philosophy which says that an energy called Qi flows through the human body and if it gets blocked due to any reason it leads to diseases that cause a lot of pain. In short, the free flow of Qi is very important in the human body for maintaining good health. There are specific pathways through which this energy flows and they are known as meridians. Acupuncture helps in releasing the blocked energy, which eventually helps in elevating pain and improves the self-healing mechanism of the body. 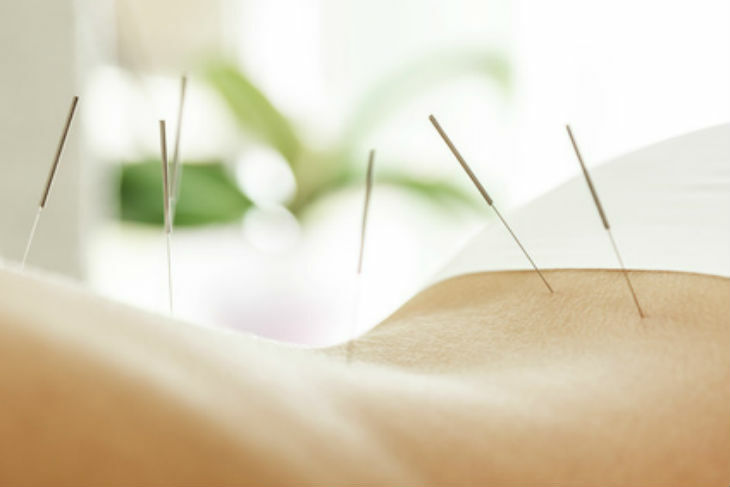 So, when it comes to treating back pain, your acupuncturists will insert fine sterile needles into your body, that will stimulate the acupoints, which will eventually reduce your pain and improve function. Acupuncture also helps in releasing the natural painkillers like endorphin and dopamine in the body, which reduce pain and improve mood. If you talk particularly about endorphins, they are released by the nervous system when you carry out intense physical activities like exercise. In addition to that, these mood-boosting and pain alleviating hormones are also released easily during acupuncture therapy. Nowadays, a large number of physiotherapy clinics are also providing Acupuncture therapy to heal the patients suffering from pain. So apart from consulting an acupuncturist for healing your back pain, you can also consult them to treat conditions like tennis elbow, strokes, renal colic, knee pain, rheumatoid arthritis, leukopenia, headaches, and morning sickness. Other similar techniques that are used by physiotherapists nowadays to relieve pain and accelerate the healing process include Kinesio taping, dry needling, and cupping. All of these techniques help in suppressing pain which eventually improve function. The best part of consulting a physiotherapist is that they work one-on-one with you to curb your pain and improve function. People rely largely on them to cure sports injuries, neck pain, hip and knee pain, shoulder ache, and headaches.